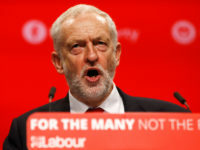 Labour deputy leader Tom Watson said the party used digital platforms “instead of our biased media” to get its message out to the electorate during this year’s general election. 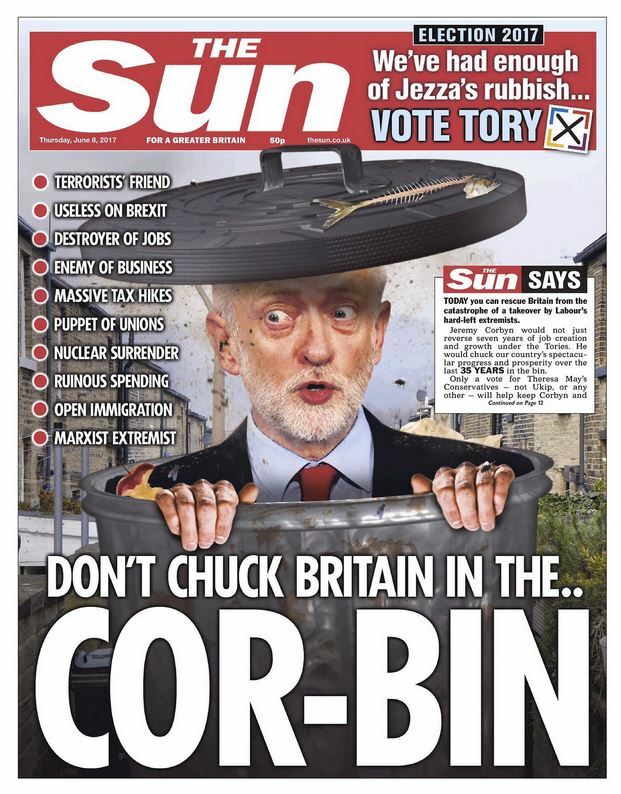 The Shadow Culture Secretary also told the party’s conference in Brighton yesterday that “it will never again be The Sun what won it” after claiming owner Rupert Murdoch “threw the kitchen sink” at Jeremy Corbyn during the election campaign in a bid to “start a Tory landslide”. Pro-Labour and anti-Tory stories dominated on social media during the election campaign, according to Press Gazette analysis of Buzzsumo data. Watson said: “This year, conference, together we rewrote the rules of politics. We overcame fear and we took the country with us using the digital platforms instead of our biased media we talked straight to the people and they heard our message and in contrast to that last September Theresa May had a secret meeting with Rupert Murdoch in New York. Watson is opposed to Murdoch’s proposed £11.7bn takeover of Sky by 21st Century Fox, which is set to be referred to the competition watchdog for further scrutiny. The MP for West Bromwich East has called for the government to press ahead with part two of the Leveson Inquiry. 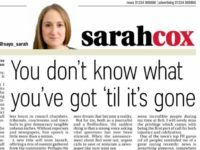 The UK’s national newspapers were overwhelmingly pro Tory at the last election. However, the outcome was far closer than expected with the Conservatives chosen by 42.4 per cent of voters and Labour a close second on 40 per cent resulting in a hung parliament. 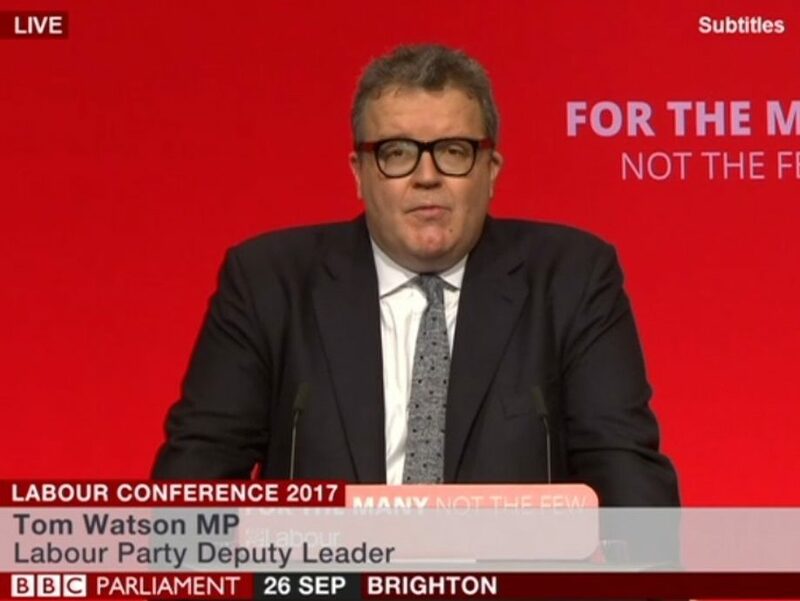 Tom Watson is a joke, his comments about Tommy Robinson on You Tube were so untrue (if he was in court he would be up for contempt? – Lucky it was only parliament). Funny how Mr Stuchbery forgot to mention (he was one of) the 6 men who attended Tommy’s relatives house, on livestream, considering that he doesn’t live there and he was out of the country? Takes a big man to take a group of men to harass a lady and two children who then needed to call for police to protect them? None of this in the mainstream press though, so sick of radical left wing media now. How many death threats does one man have to endure before any of this is shown on TV?